Love Cat saw off a field of Seoul’s top home-grown fillies and mares to take victory in the Gyeonggi Governor’s Cup at Seoul Race Park this afternoon. The race – the track’s most valuable of the year restricted to females – had attracted a star-filled line-up. Sent off favourite was five-year old Lucky Mountain, second in this year’s Ttukseom Cup and she was joined by a pair of Oaks winners – Baekpa, from 2007 and Euro Fighter, winner of this year’s Classic. Also there was Cheonun, who was second in the Oaks and widely thought to have the most potential of any filly in her age group, as well as Stakes winners Golden Rose and Tamnahwanhui. It was Cheonun who set the early pace in the nine furlong race, leading until they turned for home. The filly who beat her in the Oaks then came to take things up. Euro Fighter was a 50/1 chance that day at Busan though and punters didn’t expect lightning to strike twice. It didn’t. Entering the straight, Choi Bum Hyun made his move on Love Cat while Cho Kyoung Ho did similar on Lucky Mountain. The older mare went down the rail while Love Cat was in the centre of the track and it was the four-year old who got the better of the sprint, Love Cat winning by just over a length on the line. Cheonun stayed on for third place. Sentimental favourite Baekpa could only manage sixth, her customary late charge deserting her this time. It was even worse for Euro Fighter, who left her race on the last bend and ended a well-beaten tenth. For Love Cat, it was a tenth win from twenty-two career starts and a second Stakes victory following her win in the Sports Seoul last year. She has only been out of the money on three occasions and today was only her fourth race against all fillies and mares. It was another big payday for jockey Choi Bum Hyun. A week after landing his 400th career winner, he was back in the Stakes Winner’s Circle once again. * Last year, Sangseung Ilro twice defeated Love Cat but the double Classic winner couldn’t find her best form in the feature race at Busan this afternoon. Many were sceptical as to how Sangseung Ilro would handle life as a four-year old but a golden summer in which she claimed both the KNN and Gyeongnam Do-Min Ilbo Cups in imperious fashion proved the doubters wrong. However, her always fragile fitness caused her to be a late scratching from the Gyeongnam Governor’s Cup in September and in her re-appearance today, she was never in contention. Even if she had been at her best, it is touch-and-go as to whether she would have beaten the winner. Gimakhin Seungbu (Trippi) is a colt on the rise but he had to expend every last ounce of energy to defeat Sky Star by a nose on the line. Sangseung Ilro was just beaten out of third place by Yoshi Aoki on Money Tree. There had been some talk of Sangseung Ilro joining Dangdae Bulpae, Cheonnyeon Daero, Namdo Jeap and Yeonseung Daero on the trip to Seoul in two weeks time as part of Busan’s challenge for the President’s Cup. That’s probably not going to happen now, but she will surely be back to fight another day. Today though belonged to Love Cat. Seoul’s Champion Korean bred filly & mare of 2010. G20? The track is the place for GI, II & III, not G20! The oldest and the youngest jockeys in the weighing room both had an enjoyable day in the autumn sunshine at Seoul Race Park this afternoon. Veteran Kim Gui Bae landed a rare double, while apprentice Kim Jeong Jun recorded his first ever race win. Kim Gui Bae has never been a prolific winner or even rider. He rode his first race in 1979 at the old Seoul Racecourse at Ttukseom and it was there where he had his biggest win, riding Po Gyeong Seon to victory in the 1986 Grand Prix. One of Korean racing’s most famous names, Po Gyeong Seon won twenty of his twenty-five starts and had already won the 1985 Grand Prix. Kim would win on him six times. Racing in Korea has changed a lot since Kim Gui Bae started out. He rode in his first race at the age of 17 which, while common around the world, can’t happen in Korea any more. Now all potential jockeys must graduate from the KRA’s jockey academy which means a young jockey won’t be granted a license until they are in their early to mid twenties. The academy, which includes foreign trainers, is designed to improve the standard of riding in Korea and seems to be working. The likes of Jo In Kwen and Lee Sang Hyuk are both, with only two years of experience, established big race riders. This year there were four graduates from the academy. While Lee Gang Seo and Jang Chu Yeol had already tasted victory, today it was the turn of a third, as Kim Jeong Jun guided US-bred filly Skiff’s Chic (With Distinction) to a three-length triumph in race 2. * Racing returns to Seoul tomorrow when it is the Gyeonggi Governor’s Cup – Seoul’s richest race of the year for fillies & mares. In action among full field of fourteen are Baekpa, Lucky Mountain, Euro-Fighter and Cheonun. Subsidy, Grand Prix winner and Horse Of The Year in Korea in 2005 has been officially retired at the age of 10, his owners confirmed at the weekend. One of the final foals by the late Mr. Prospector, Subsidy [Mr. Prospector – Foreign Aid (Danzig)] was born on March 29, 2000, nine months after the death of his illustrious sire. Subsidy was a late arrival to Korea, not being imported until the age of four. These days, the only horses older than two who arrive here are for breeding purposes and it is almost unheard of for a new arrival to have racing experience. Subsidy, however, was a veteran of 14 races in the US. He made his debut as a two-year old on November 11, 2002 over 6 furlongs at a sloppy Delaware Park, finishing an encouraging second. He made one more appearance as a two-year old at Aqueduct Racetrack in New York but was a disappointing eighth. Reappearing at Pimlico the following spring, he ran second again. After a couple more outings back at Delaware Park, he was taken to Monmouth, where he scored his first – and only – victory on US soil in a 6 furlong allowance race on July 12, 2003. 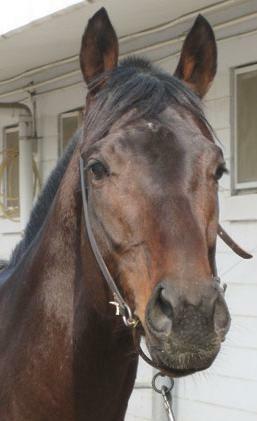 At the end of his three-year old season he was sold to Korea. His US racing record was 14 runs with 1 win, 4 seconds and 1 third. In total he won $51,000. Four months after his last US appearance – a claiming race at Philadelphia Park between Christmas and New Year – he debuted in Korea on April 3, 2004 winning at seven furlongs with ease. He did enough throughout the remainder of his four-year old campaign to merit an invite to the season ending Grand Prix in December. It didn’t quite go to plan as he finished sixth. However, he was not done with this race. 2005 was Subsidy’s year. He won the Owner’s Trophy in April and, despite suffering a surprise defeat to Value Play in the KRA Chairman’s Cup the following month, harvested big handicaps throughout the summer and autumn and headed into the Grand Prix as favourite. He didn’t disappoint. Hitting the front as the field turned for home, Subsidy stretched away for a three length win, taking Korean racing’s biggest prize as well as the Horse of the Year award. By 2006, Bally Brae was on the scene. A year younger than Subsidy, the pair would spend the next three years battling it out in big handicaps. Their connections could have avoided each other in all but the very biggest races but they would regularly meet. In the Grand Prix of that year, neither would win as Flying Cat took the honours with Bally Brae in second and an out-of-sorts Subsidy back in fourth. Only running five times in 2006, Subsidy still picked up three wins. It was Bally Brae though who picked up Horse of the Year. In early 2007, Subsidy and Bally Brae had their most memorable battle as, despite giving the rest of the field an almost ten-kilo weight advantage, they engaged in a private duel over the last four furlongs, battling each other right up until the line. Subsidy came out on top that day in a race that, given the fondness for both of these horses, will always be special for Korean racing lovers. However, later that year, Bally Brae would get his own back as he dominated the Grand Prix, beating Subsidy into second by place by four lengths. That Grand Prix goes down as one of the great “what might have beens” for Korean racing. 2007 was the year of J.S. Hold, but the three-year-old Triple Crown winner had already run his last race by the time the Grand Prix came around. 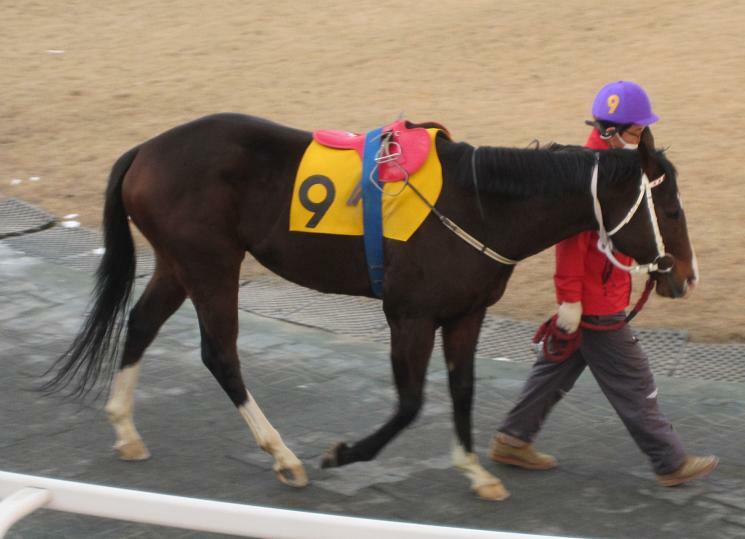 Likewise the “white light”, Baekgwang, another star domestic-bred horse was also injured. No-one will ever know if either could have beaten Bally Brae and Subsidy, the two dominant horses of their generation. By 2008, it was clear that Subsidy’s star was waning. He still managed three wins but, faced with a restrictive weight to carry in the big handicaps, things were getting more difficult. Subsidy’s last win came on September 7, 2008. Second in that race was Dongbanui Gangja. The margin was a nose. By the time of the Grand Prix later that year, Dongbanui Gangja was established as top horse on the peninsula. Subsidy continued to run sporadically – and finish in the money until what has now been confirmed as his last race, the 2009 Owner’s Trophy. 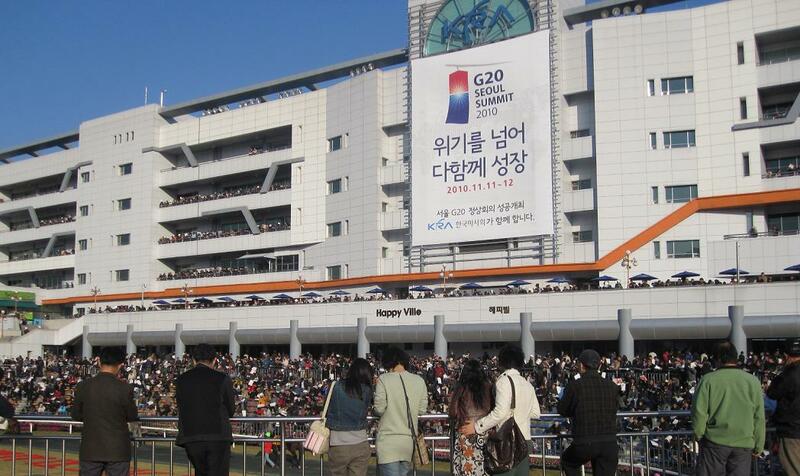 Dongbanui Gangja won that day with Subsidy finishing sixth. Old rival Bally Brae wasn’t there – they had said their goodbyes the previous month as Bally Brae comfortably beat him in a Saturday handicap. He wasn’t officially retired then. Always sensibly campaigned, his owners had said that so long as he could be competitive and safe, he would run again. In July 2010, he took part in a Friday morning race trial and won easily, re-qualifying him for the real thing. The real return never happened though. Subsidy will be retired to a private farm. One of those few horses in Korea known by name rather than number, the gelding who went from being a mid-week claimer at Philadelphia Park to winning a Grand Prix in front of 80,000 passionate punters and amassing over $1Million in prize money, has earned his retirement. While the inaugural Korean Grand Prix took place in torrential rain in Jeolla Province, up at Seoul Race Park there wasn’t a cloud in the sky as Ecton Cat pulled off an unlikely victory in the Turkey Jockey Club Trophy. The longest shot on the board, five-year old Ecton Cat was at the back of the twelve strong field for much of the race which at 2300 metres is the same length as the real “Grand Prix”, the longest of the Korean racing year. However, under jockey Won Jung Il, the gelding picked off his rivals in the straight to claim victory by just a head from KJ Khan. With those two finishing first and second, some lucky punter was cashing a 2798/1 exacta. In a close finish, pre-race favourite Victory Town was a length back in fourth. For Ecton Cat it was a first win since January and only the sixth from his thirty lifetime starts. 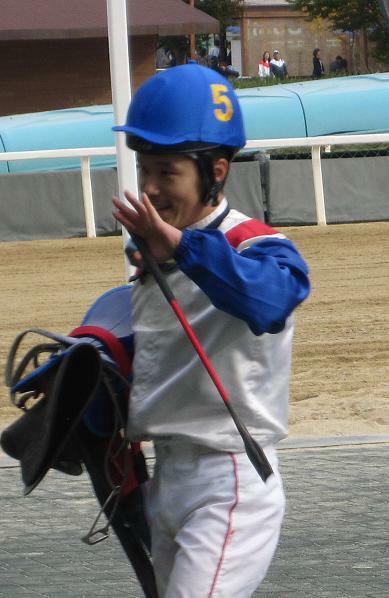 Victory Town’s jockey was Cho Kyoung Ho who, with rivals Park Tae Jong and Moon Se Young out of action this weekend, would have been looking to make in-roads into the Jockeys’ Championship. Instead, however, it was Moon Jung Kyun, erstwhile partner of J.S. Hold, who had a lucrative weekend. Following on from his three winners yesterday, he added a further four today. Chief among them was victory on four-year old Cheongha Eutteum, the horse making his first appearance since January to just hold off odds-on favourite Balhaemyeongjang. Cheongha Eutteum has had an injury-ravaged career but now has five wins from nine starts spread out over two-and-a-half years. 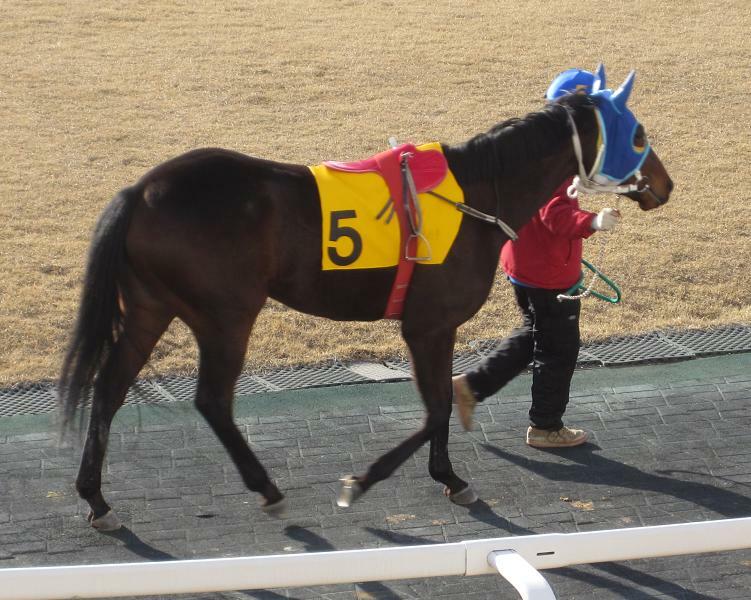 Moon’s other victory of note came on debut-making Daesan Champ [Five Star Day – Stormy Alliance (Storm Creek)] in race 6. The young US import was a confortable six length winner. 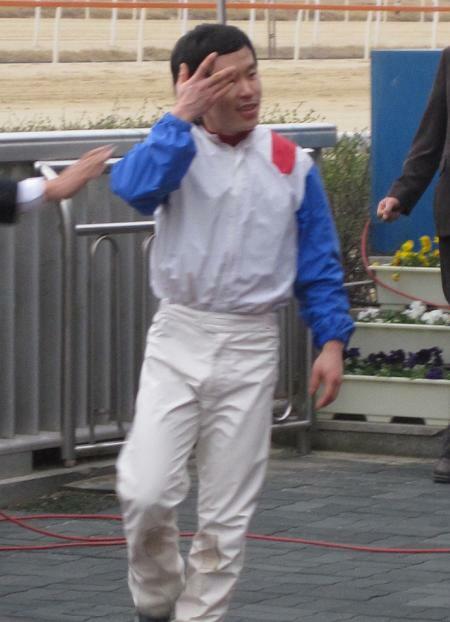 Choi Bum Hyun was the toast of Seoul today as the jockey secured his 400th career victory. While in world racing terms, it’s not many, he joins just a select few Korean riders to have achieved the figure. 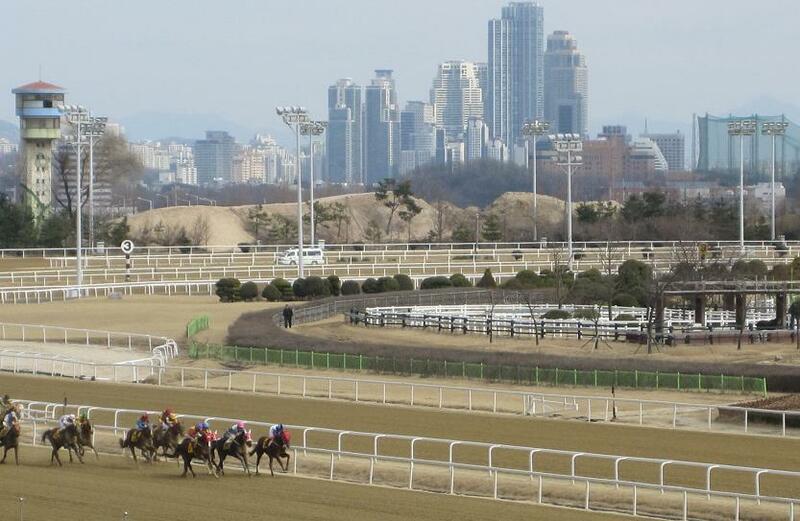 Choi’s 400th came in race 8 on a beautiful afternoon at Seoul Race Park. The 31 year old guided favourite Wink to a narrow half-length victory over Nice Keeping. It was his only winner from ten rides on the card. In recent times, Choi has been a freqent visitor to the Winner’s Circle in the big races. 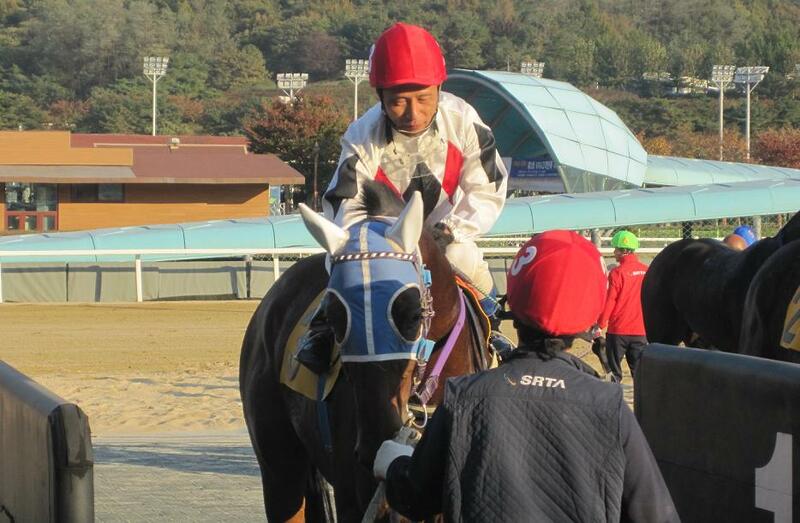 As regular jockey of Dongbanui Gangja, he has won back-to-back Grand Prixs as well as last year’s Owner’s Cup. Triple Seven gave him the Ttukseom Cup earlier this year while he picked up last year’s Busan Metropolitan on Bulpae Gisang. He is, however, yet to win a classic. Choi’s 400 wins have come from just over 3400 rides. He has an 11% win and 32% place record for his career. In terms of absolute winners, he is behind only Park Tae Jong, Moon Se Young, Shin Hyoung Chul and Cho Kyoung Ho. Park, who along with Moon is out of action this weekend, is more than a thousand winners clear of almost anyone else in Korean racing history. 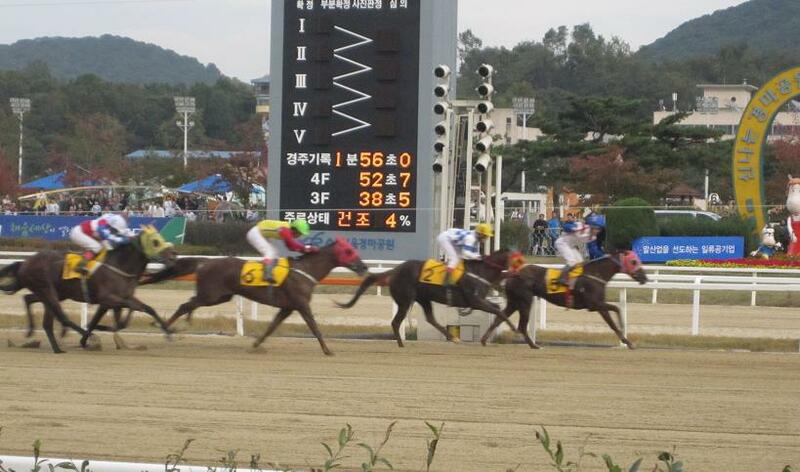 In the feature race, Suseong TX, at five-years old a late entrant to the class 1 ranks, won a very competitive handicap. 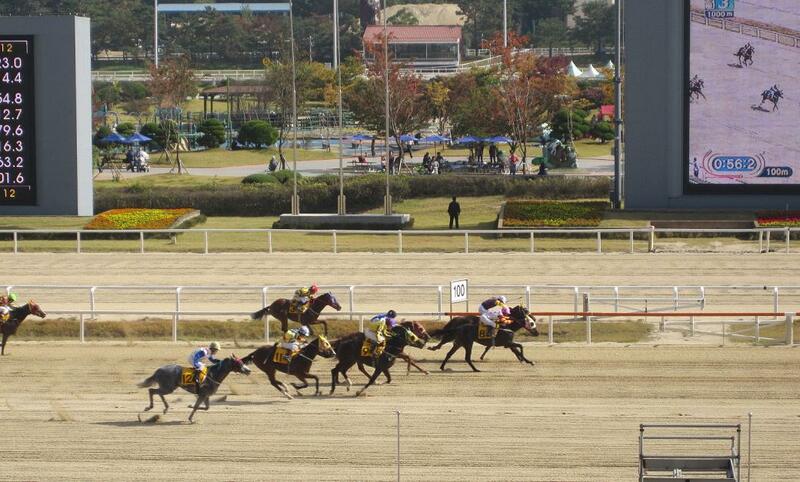 Under Cho Kyoung Ho, Suseong TX comfortably led home Janggun Bada and Free Woody by four lengths. Earlier, there was a win for New Zealand-bred Super Yongwang (Ekraar) in race 9. The four year-old has been a money winner in each of his ten races, but today was just his second victory. Also scoring a second victory – although just from three starts – was two-year old colt Hwanggeum Bolt [Congaree – Tilly’s Pulpit (Pulpit). 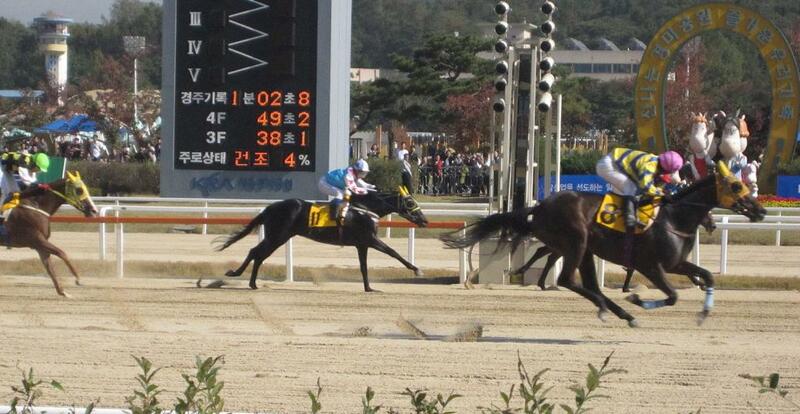 He eeked out a narrow win over Giroksangseung and Sun Best in race 6. Winning for the first time today were US import Broadcaster (Mass Media) and the debut-making filly Prete Ingran (Ingrandire) who landed race two and four respectively. Meanwhile, while the riding focus was on Choi Bum Hyun’s 400 winners, Moon Jung Kyun was jockey of the day, notching three winners. 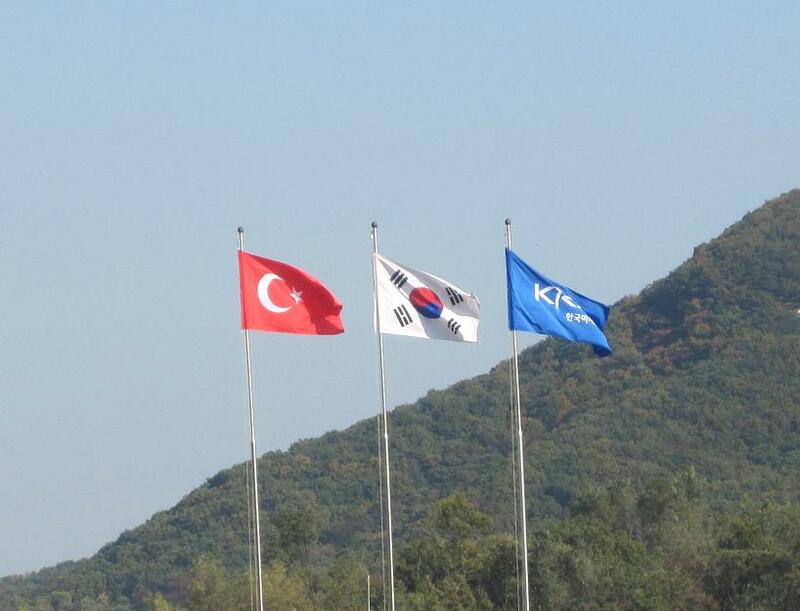 * Racing returns to Seoul tomorrow when the 2300 metre Turkey Jockey Club Trophy is the highlight. 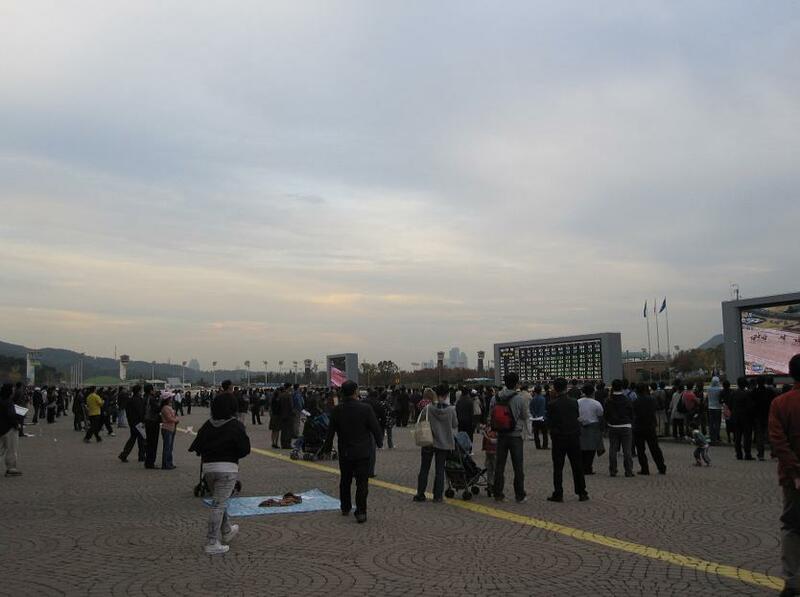 There are eleven races from 11:30 to 18:10 in the capital while down at Busan, there are six races from 12:40 to 16:30. It’s set to be a glorious weekend in the capital and, with the forecast for cold weather to hit midway through next week it could be the last weekend of the year before the winter coats need to go on. A trip (or two) to the track is therefore a must. Time to take a look at what’s going to win tomorrow. First, however, there was a performance of note at Busan this afternoon as three-year old Mister Park scored his ninth straight win. The gelding won with almost contemptuous ease over a field including last year’s Minister’s Cup winner Namdo Jeap. Ineligible for the Classics this year (doubly in fact for being both a gelding and conceived overseas, even though his sire is now in Korea) today’s was his most notable win to date and sets up the prospect of a clash with this year’s Minister’s Cup winner and top three-year old colt, Dangdae Bulpae. Race 1: Domestic-bred Class 6 (D6) 1200M – Mighty Kaiser (number 7) will be favoured but Jeonsingapbu (10) is a more interesting bet. Race 2: Foreign-bred Class 4 (F4) 1200M – Some interesting two-year olds here including the unraced A.P. Dubai (1) who has looked very impressive in trials. Canadian-bred Home For Dinner (4) is also worth a bet to win. Race 3: D6 1000M – Another baby race. Brief Dream (12) will be hot favourite and should win but if Jeonsingapbu wins race 1, have a little punt on Spino (3). For value, Beongae Gangho (7) should be worth a place bet. Race 4: D6 1000M – More babies in this one. Good Speed (5) should win but won’t make you rich. Best to pick one of the unraced entrants to grab a place or even surprise the favourite. My Energy (11) could be the one. Race 5: D5 1200M – Two-year old Sun Blaze (10) easily won his debut and he should win this for Japanese jockey Hiro Hamada. Look for Glory Sun (6) to place. Race 6: D5 1300M – Hiro Hamada can make it two in a row with Sun Best (1). His main challenger is Hwanggeum Bolt (2). The quinella will not pay a lot if these two finish first and second. Race 7: D4 1700M – Nice Keeping (2) is coming back off a two month lay-off and has an unfashionable jockey on board, yet has form at this distance finishing second to subsequent Oaks winner Euro Fighter. There will be value to be had. Don’t bother betting to place as there are only seven runners. Race 8: D4 1400M – Taewangseong (6) is the best horse in the race but Napalsori (5) will be better value. Race 9: F3 1800M – Black Saint (9) edged out Super Yongwang (1) by a head last time they met. The result could be reversed this time. Race 10: F2 1800M – Cheonho (11) has the beating of these although Jewang Tansaeng may well be favourite (9). Race 11: D1 1900M – The feature race of the afternoon. Winner Prince (8) and Taepung Chukje (11) find themselves well handicapped, unlike Gi Ra Seong (2). Machine Gun (10) has a good chance of scoring his tenth career victory. Race 12: D3 1400M – Decent contest to send punters home with an empty wallet. Filly Babble Classic (2) will come close. * Racing gets underway at Seoul at 11:20 with the last race at 17:40. Two races will also be simulcast live from Jeju Race Park. The track has not been immune. 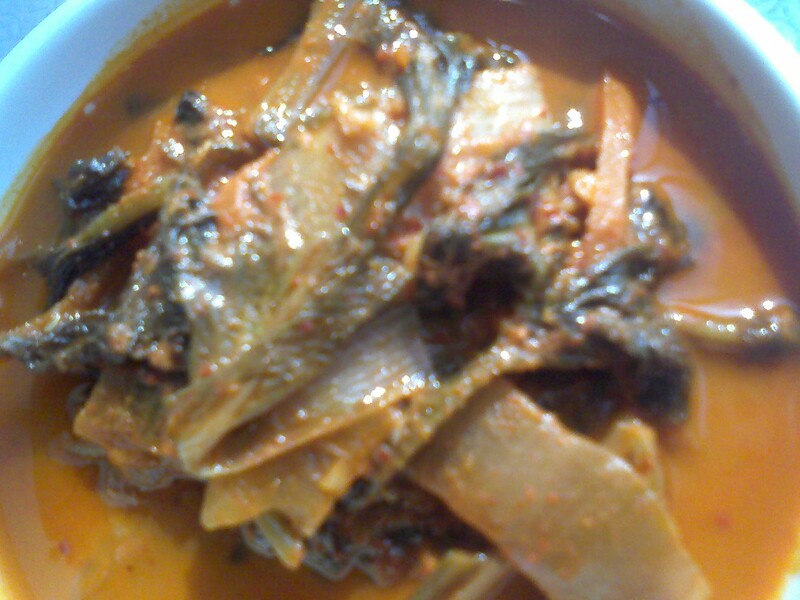 The abberation to the left is what passes for a bowl of steamed kimchi at the Seoul Race Park buffet these days. Partially fermented weeds would be a more accurate description. Even that’s expensive. As prices continue to rise, there seems no end in sight to the shortage. Luckily one thing there’s no shortage of this weekend though is top flight racing. And very interesting it is too as we have races at distances unusual to Korea. Three of those big races are at Busan on Friday where we have class 1 events at seven, eight and eleven furlongs. Korean racing history is littered with talented sprinters whose careers stutter because there are no valuable races run at less than 1800 metres but tomorrow, Night Moves, Baekjeom Manjeom and Ganghan Yeoja are among twelve horses who get their chance at a class 1 prize over 1400 metres. Also on show on Friday will be Mister Park, winner of his last eight races, facing his stiffest test when he comes up against Namdo Jeap over the latter’s favoured distance of a mile. The younger Mister Park has a two kilo advantage and will be favoured to make it nine in a row.